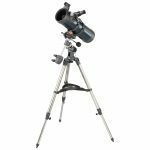 What starting telescope equipment does the Astronomy Cast team suggest? How much energy does a black hole generate? And how do we measure time outside the Earth? Would a black hole the same size as the sun give off the same amount of energy as the sun? The Isaac Asimov book Fraser talked about was likely in the Galactic Empire of the Foundation Series. Anyone know which one? How do we measure time if we leave Earth? How do heavy elements like iron end up in the inner rocky planets but not in the outer solar system or in the sun? Why doesn’t a photon have mass? Is an open universe infinite? What shape do we think the universe is? Did the early universe inflate at infinite speed? What is the Universe expanding into? — Cornell U. What are the processes that limit star size, and why don’t black holes have that limit? Is the expansion of the Universe caused by decaying matter? If the age of the Earth is derived from the decay of primordial material from when the sun condensed from a supernova, aren’t we just dating the supernova and not the sun? Aww, poor laptop 🙁 R.I.P. Or, to more directly answer Fraser’s question: I lean toward yes; we have trouble with binos, too. In the same way a guitarist might need more than one type of guitar, a stargazer is likely to need more than one type of telescope. All the various kinds of scopes out there have their strengths and weaknesses. A good Maksutov will give excellent crisp contrasty views at high power, but it won’t give a wide-field view. A Newtonian will give the lovely wide-field deep sky views, but it won’t give a crisp contrasty planet. First, it would be good to decide what objects interest you most and buy accordingly. If you’re like me, your first telescope will likely not be your last. I own an Orion SkyQuest XT10 Classic Dobsonian Telescope and I have to say this is a very nice investment. Everyone in the family has learned to use it very well. My 8yr. old son loves to look at Orion and loves to talk about Orion’s belt to his friends. I also suggest buying a Telrad finder and a 4″ riser from ScopeStuff to keep the cheeks off the steel in the cold. I have to say aperture fever has kicked in and I am ready for a Meade 16-inch Lightbridge Dobsonian Telescope. I just bought a 4.5″ reflector and its fun, but I get quite a lot of satisfaction using the free stellarium program on my computer instead. that I?ve really enjoyed reading it. I?ll be subscribing to your blog and I hope you post again soon!